I like to make books come alive for Mini, whether it is a picture book or chapter book. The best way to do this is to get involved with some fun hands-on activities that go along with whatever book we are into at the time. Since are in spring and it is the heart of the growing season I thought Growing Vegetable Soup was a great theme to dive into. We hope you and your little(s) enjoy following along with our vegetable fun! Plant a small garden- If you don’t have much space or you just don’t have the inclination you can plant an item or two in a large container. Some vegetables that are good for container gardens are – tomatoes, peppers, beans, and onions. Start your seeds indoors in little cups, keep them watered and replant in the ground or containers after they are about 2” tall. 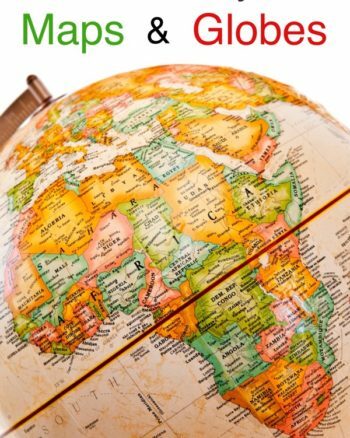 Choose seed packets together from the garden store, start seeds, plant, weed, fertilize, and harvest your garden together to teach your child a valuable skill. Try this Pallet Garden for a simple self-contained container garden that doesn’t require any weeding. Make garden markers- Make simple DIY Garden Markers. This is a great art project and is also useful in your garden to keep your rows sorted. Sort Seeds- Pick up several inexpensive packs of seeds, you can grab these at Dollar Tree. 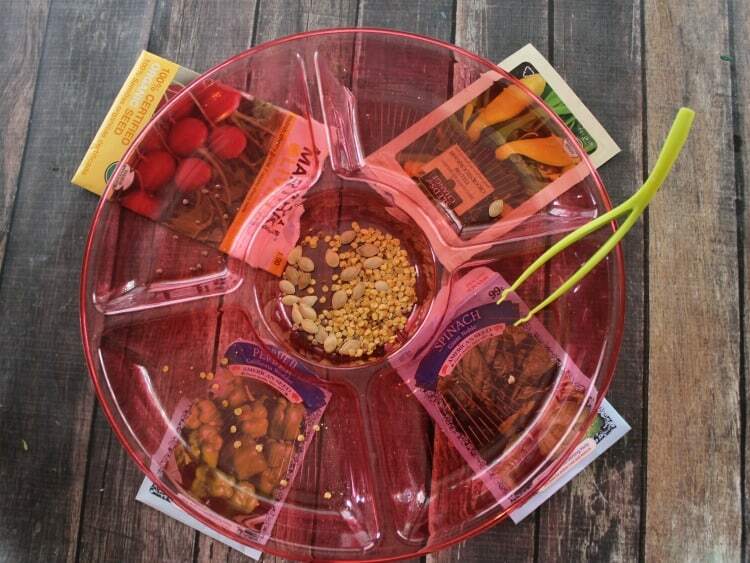 You can also grab one of these divided dishes at Dollar tree, Tape one of each seed into each space then tape the seed packet to the edge so you know which is which. Pour all seeds into the center of the container and give your child a set of pinchers. Sorting the seeds will help your child work on fine motor skills and teach them how to identify different seed types. 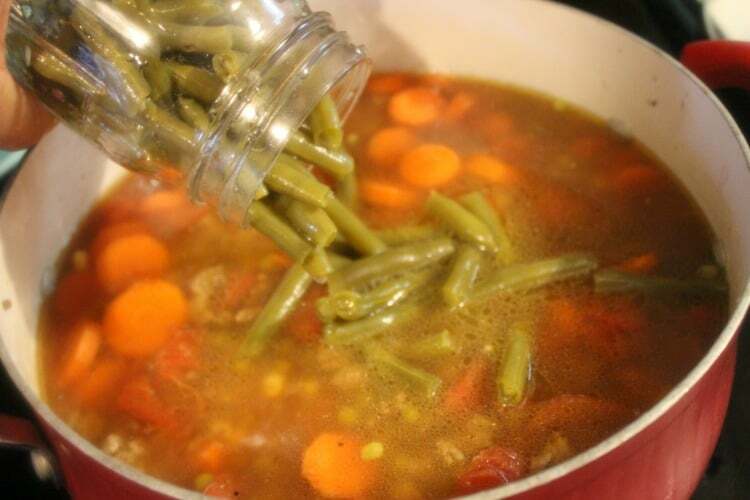 Make homemade vegetable soup-Cooking is a great natural way to incorporate math, science, and homemaking skills into your studies. Find a favorite recipe or make up your own from a base of vegetable or chicken stock and your preferred ingredients. This makes a great freezer meal too to put ahead for another day! Visit a farmers market- While you are waiting for your own garden to grow you can visit a farmers market and choose some fresh in season veggies with your child to take home and eat. Use them for your homemade vegetable soup, eat them fresh, or in other favorite recipes. 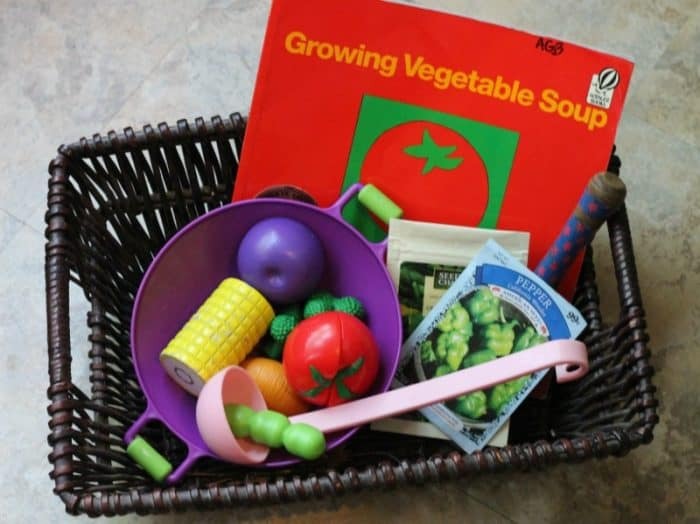 For smaller children you can have them identify colors, or vegetable types. 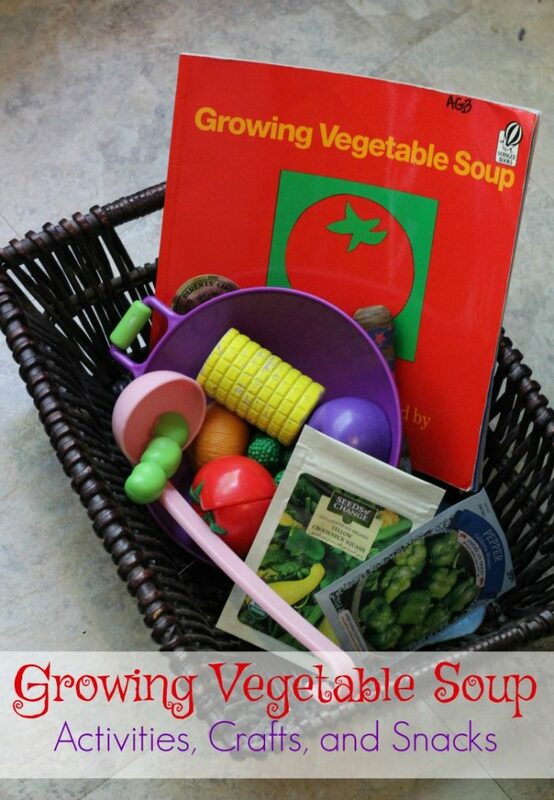 Older children may enjoy learning which vegetables grow above ground and which grow under. Scrub veggies- When you harvest your garden or bring veggies home from the farmers market have your child help you clean and put them away. 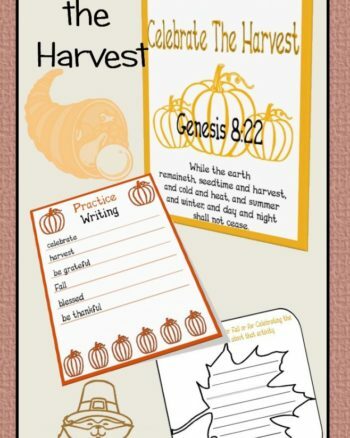 This can be a fun activity and it teaches your child some basic life skills in the process. Use a clean scrub brush and demonstrate how to brush away dirt and rinse clean any chemicals that may be on your produce. 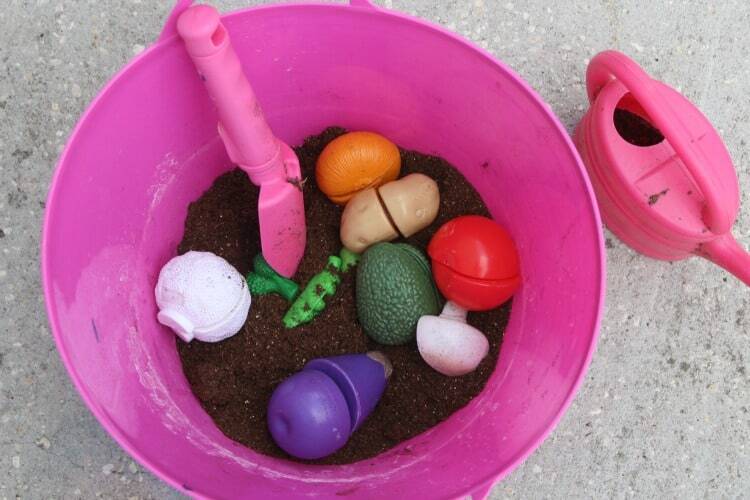 Garden Sensory Bin- Fill a small tub with clean, new garden soil. Add some play veggies and a few garden tools, maybe some seeds. Leave it out for your child to explore, when they are nearly done with it you can give them a watering can turn it into fun water play, no doubt it will extend their interest and keep them busy even longer. Vegetable stamps- Cut various veggies up, we like to use celery, potatoes, and carrots. 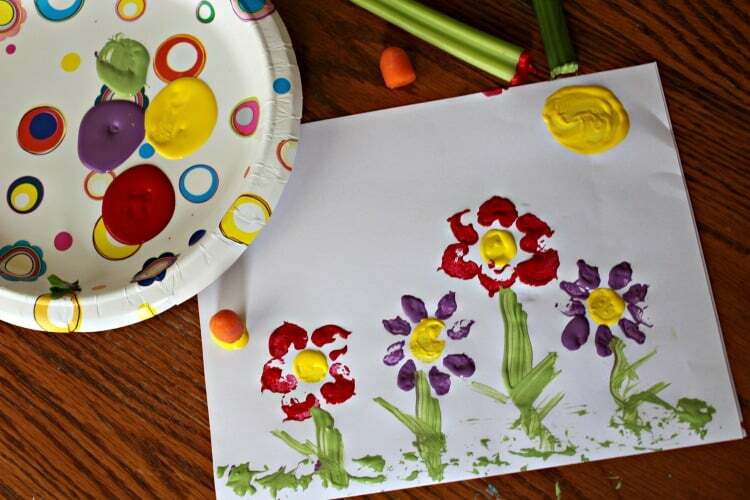 Use them as stamps in craft paint to create your own unique artwork pieces like below. Toss the remaining scraps in your compost bin! 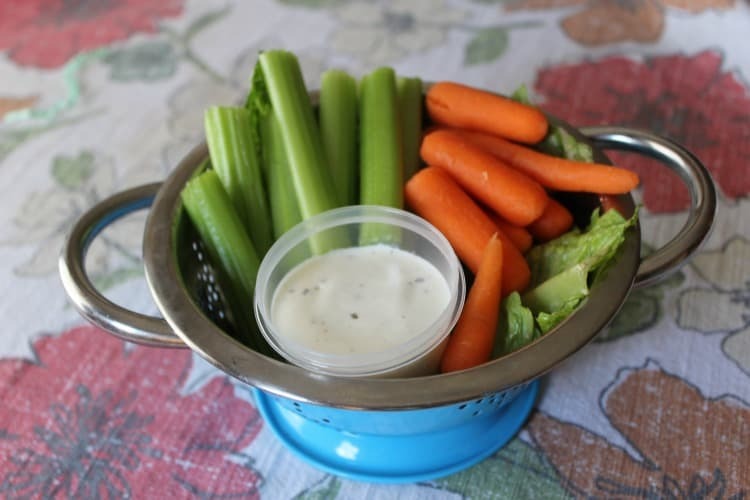 Vegetable Snack- For a simple snack enjoy a tray of fresh veggies with a side of ranch for dipping. If you let your child help in the choosing and preparation they are likely to try more veggies than they normally would, the ranch dip doesn’t hurt either! Enjoy your growing vegetable soup study!